Moisson Sud-Ouest organizes various events all year long in order to finance our operations : in fact, its about one of these events that we`d like to tell you today. 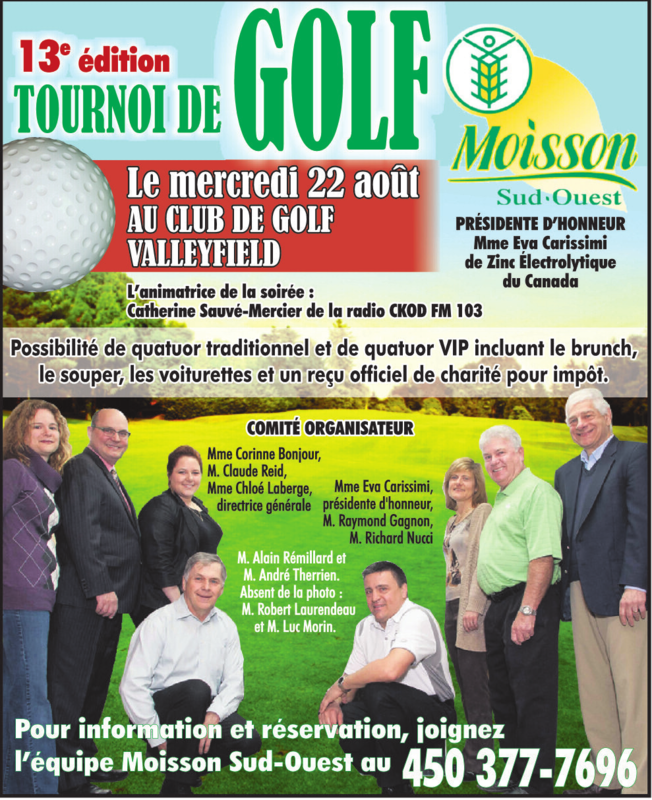 The 13th edition of the annual golf tournament for Moisson Sud-Ouest will be held on upcoming august 22, at the Valleyfield Gold Club, chaired by Eva Carissimi VP of operations and director general of Zinc Électrolytique Canada. She holds a BA in metallurgic engineering from McGill University. She began her career at the Horne foundry of Xstrata Copper in 1989. In 2011, Ms Carissimi was chosen on of the 100 most influential women in Canada in the < Pioneers and Trendsetters > category, a prize awarded by the Network of Women Executives.